Trying to find the latest psychology information from scattered sources? Where can you get treatment best practice guidelines? Who is providing new course and training opportunities? How can I access consumer information on depression, support for military families, diet and obesity, etc.? What sources are available for technical information, including data sets, patents, and reports? 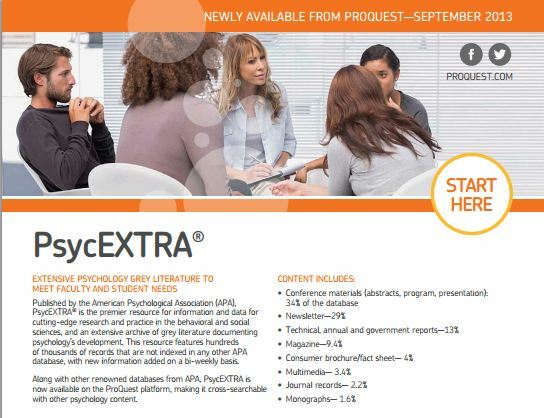 Researchers and practitioners can now access with ease APA’s reknowned grey-literature database – PsycEXTRA® from ProQuest -- all in one place. Your ProQuest representative is able to offer more information and help you subscribe -- just ask! 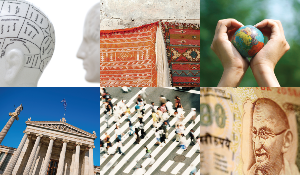 ALSO NEW from ProQuest – Psychology video content in ProQuest Psychology Journals.